It was a great pleasure several months ago to sketch in Charleston with my oldest son. Wrought iron is on display all over the historic district. 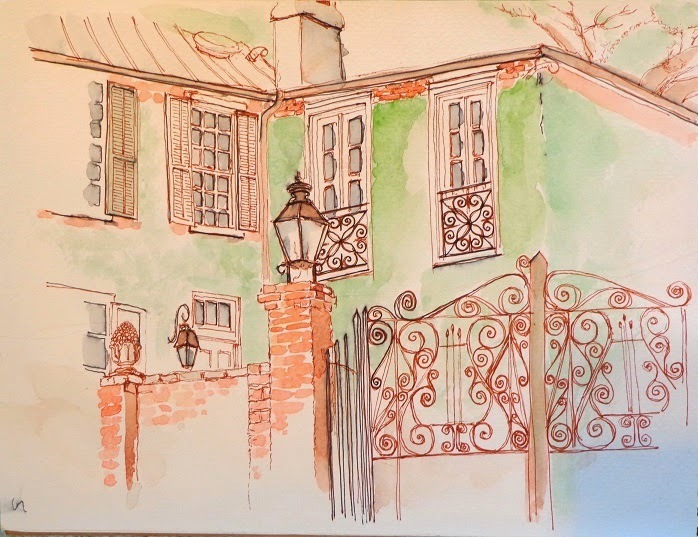 These lyre gates are a typical Charleston example.